In ancient times Cleopatra had milk baths to maintain her beauty, here and now Spanish beauty Penelope Cruz maintains her god given looks with caviar. You can always find beauty in the food pyramid if you know which section to look. According to Embelezzia, Penelope’s secret lies in Caviar Hydrolifting Night Cream from Massumeh. Developed by Iranian beautician Massumeh Massi, the Massumeh beauty product line was further enhanced with the support of Swiss biotechnology laboratories. Massumeh’s patented formula contains active ingredients to help maintain your skin’s elasticity, radiance, and firmness. It also allows quick recovery from external factors such as pollution, temperature extremes and stress during sleep. The anti-aging formula comprises elements of caviar extracts, pearl, malachite, complex DNA, hyaluronic acid, argan, Sequoia, blue lotus, marine elastin, aloe vera, and vitamins A and E. These add high levels of proteins, minerals, trace elements and antioxidants to the cream. 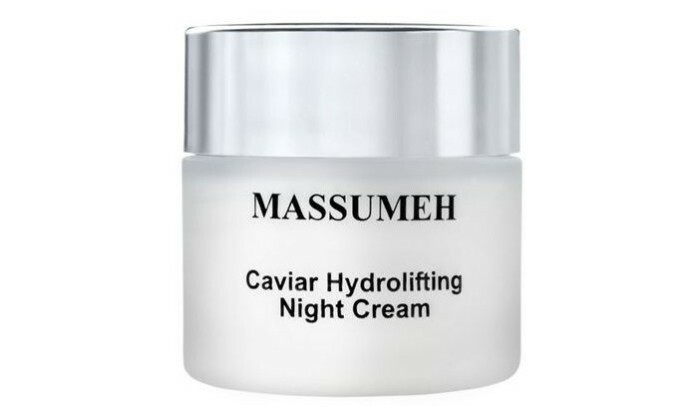 While you are getting your beauty sleep, Massumeh Caviar Hydrolifting Night Cream will do the hard work for you. It will repair and replenish your skin, you will wake up looking resplendent. 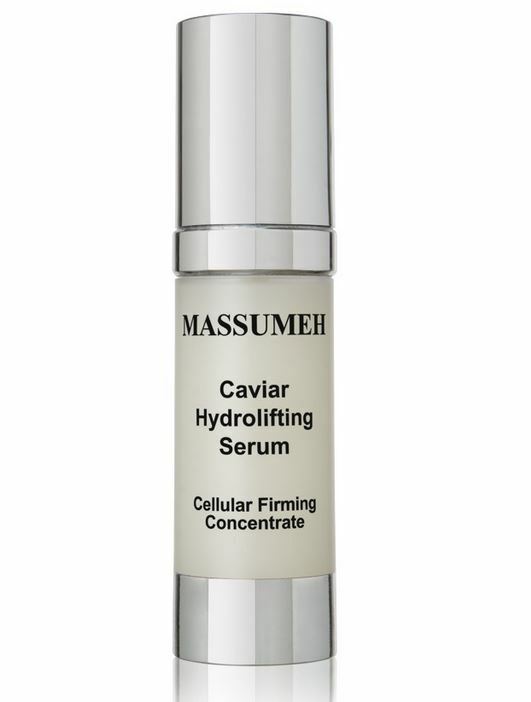 Massumeh recommends using Hydrolifting Night Cream in tandem with Caviar Hydrolifting Gel/Serum for best results. 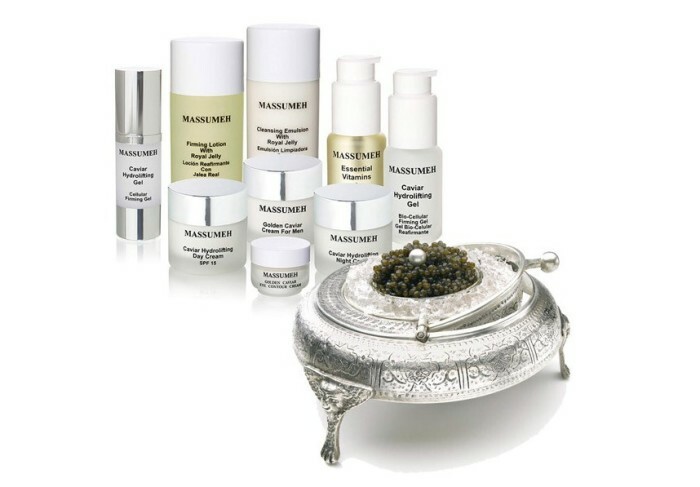 Other than the Hydrolifting Night Cream range of products of the Massumeh Caviar line includes eye cream, neck cream, serums, and jelly. They even have a cream for men – Golden Caviar Cream for Men. The cost of younger looking skin? They sure don’t come cheap. A 50ml jar of Caviar Hydrolifting Night Cream will set you back €132 (approx. $180) and 30ml of Caviar Hydrolifting Gel/Serum sports a price tag of €130 (approx. 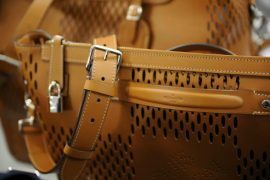 $178). 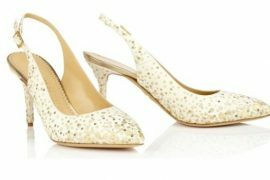 Prices are before VAT.